I wonder what whale meat tastes like? So the 2012 whaling season in the Southern Ocean has started and I have to admit to always being a little confused as to why so many people have such a huge problem with whaling. I’ve done this as a talkback topic over the years and the main answers are “It’s a horrific way to die” and “The Japanese are lying as they claim that the whales are for ‘research’ and we all know they are eating them.” Both of those statements I agree to, but the passion around this issue, aimed solely at the Japanese, seems to far out-way the hunting of whales. Let me just put in here, as a disclaimer to the negative response sure to come, that I don’t like the hunting and killing of whales, I don’t want to do it, I don’t like to see it, and I don’t want to get into a conversation about being ‘pro whale hinting’, it’s not that, it’s just the confusion around why we Westerners have the luxury of saying that the Japanese are ‘bad’ for whaling but ignore lots of other areas that to me seem similar. 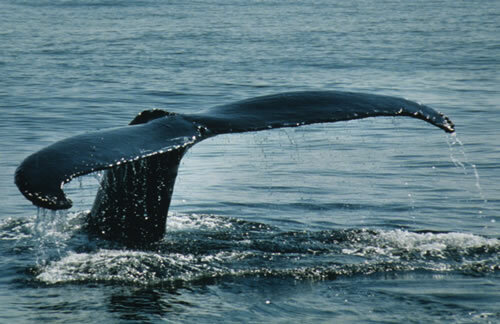 Did you know that Japan is not the only country who hunt whales, yet they have the light shone on them for. Amongst others Canada, Greenland, Iceland, Indonesia, Norway, The United States and Russia still actively hunt whales but very little, if any focus ever comes onto those countries for their harvesting of this majestic mammal. Norway and Iceland actually hunt on a commercial basis selling their whale meat openly in their communities. For the 2012 season, it’s been released that the Japanese want to harvest 900 Minke Whales and 50 Fin Whales…is that a lot? Well that’s what we need to know. The Minke population in the Southern Hemisphere alone is between 665,000 and 761,000, although that is thought to be half the population of the 1980s. The Fin population seems harder to nail down as I have seen estimations as low as 35,000 and as high as 119,000. Obviously there is room to challenge the catching of Fin Whales based on their population, but I do note that between 1988 and 2009 they have only taken 14 Fin Whales in total. So why does the Western world find this so abhorrent? We happily hunt and kill other mammals putting them through stress and horrific deaths like deer stalking. We happily use technology to gain the upper hand when we hunt other majestic animals like using fish finders to locate swordfish and we happily kill and consume animals in their millions that other cultures would find offensive to kill like our propensity for beef not caring how a billion Hindu feel about it. So what is it about whales? The other issue of contention for me is the people that are the face of fighting this hunting of whales. Paul Watson and the Sea Shepherd Conservation Society. Let me say again, I am not a ‘fan’ of hunting but likewise I am not a fan of killing all sorts of animals, if you are a carnivore or omnivore then check out the documentary Earthlings about how we treat other forms of meat…then point the bone at the Japanese. I think you’ll find it more difficult, we Westeners treat animals pretty badly as well. But what is it with whales? I have to be honest, if I was in Japan and someone offered me a taste of whale I’d probably try it. I don’t like how whales are harvested but it would be hypocritical of me to damn the Japanese, whilst leaving off the list all the other countries hunting whales let alone shouting from the rooftops how that steak got on my dinner table tonight. Previous Article 30 years…are you serious? i dont care too much about the whales being hunted. 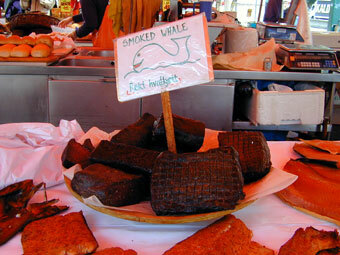 and i would try a bit of whale meat, if it was smoked….and after a few drinks i s’pose…. i just asked my mate who works on a factory boat what HE thinks and the first thing he says is “mate theres not enough of them whales about” so i showed him your stats there. next he says “well they are a beuatiful thing. why do they have to kill them?” so i said, ‘well so are cows’. so his last arguement is “well the japanese dont need to come down here. why cant they stay up there and do it? just because theyve killed everything in THEIR part of the world” and that actually made a bit of sense to me. Coming from a very simplistic viewpoint….. I think some of the fuss behind whaling is that because whales cannot be farmed, we don’t really know the repercussions of decreasing numbers. With Deer……meh. Less deer won’t be of much effect. Swordfish? Maybe there are other species that can serve the same purpose in the life-chain. Also it’s the mystery behind whales. Because the are mammals. Because we can’t readily access them. It makes sense to want to protect them, not necessarily because of the way they are killed, but to prevent them becoming endangered. It’s about being able to replace what you take. Like the above says, we can’t sustainably farm Whales, but deer, cows etc can be. That’s the diff. In fact most fish in the sea are in rapid decline which is just as worrying. Whales just get more press. I think the focus on Japan is because it’s a more local issue and would be intensified by the general attitude in Japan towards hunting wild mammals with complex social structures such as the dolphin hunt…(would you try eating baby dolphin if offered?) . The other countries are equally responsible however we tend to worry about our own back yard first. That complex social structure whales have also seperate them from other forms of fishing. The more we have learnt about them (which is still very little…. and has not been achieved through hunting) the more we realise how complex and ‘like us’ they are. As for other forms of hunting such as deer… they would think they would be considered an introduced species that harm native species… game over. Other meat food sources (domesticated) also would be considered different. The cow for example doesn’t exist in the wild and ‘because’ it is domesticated it won’t be found on any endangered species lists… so in this way the cow benifits from being our food source. Whales in no way would benifit from being a food source…. unless you work out some way of domesticating them….. you’re going to need a pretty big farm for that one though. As to what they taste like… probably salty beef? Not something I’d ever try though. Couple of thoughts to some of the above comments. Reports say that the Minke population has rebounded to ‘early 20th century levels’ so it seems sustainable. The reason why Japan comes ‘down here’ is that they have been banned by the international community from fishing around their own coast…so they can’t legally do it there. Which animals are you refering to? I think there is a clear difference between wild and domesticated. For me, domesticated represents a benifit for our spiecies and theirs (not including bad farming practices like battery). Hunting wild animals in their natural habitat is a different story altogether and I believe does generate the same emotions. Elephants would be one of many examples. Agree with the aspects in your post, I do wonder from a deeper level if there is some subconscious racial finger pointing at ‘The Japs’ because of their past history and continued animosity amongst a small minority in Western society and therefore the media exploit that as an excuse to make an example of them and their ‘bad habits’. Im all up for whale hunting if it is proven its done in a correctly sustainable manner etc, given the number presented it does not seem an outrageous figure of whales killed but the controversy lies in the current whales population, its not like we can accurately do a head count census of the species. You are so right Pat, we get our knickers all twisted about whales and yet the way we treat our animals here is disgusting , I spend alot of time in a farming area, and in the winter I walked past poor young cattle standing knee high in mud, day in day out and just to make their day the freezing cold sleety rain would fall on them. I have never been to a slaughter house , so I don’t know the half of it. I wonder what makes us so emotional on some things, and yet do blasé on others, sadly I have no answers for you only more questions!! I have eaten it, its not overly wonderful but it is a source of protein. In Japan I have also eaten sparrow in Yakitori bars (suzume), horse, grasshoppers cooked in soy sauce and sugar as well as all manner of fish-large and small. And I am not sure but I believe at on place I ate canned sea-lion. At least thats what I was told. Its the same in many overseas countries. South America’s obsession with guinea pigs is a good example. At the end of the day we in NZ (or the west) veiw others way of life (including food) through our own filters and morality. That our morality may not be theirs doesnt seem to enter the equation…. A while ago I saw a film called The Cove. It’s about dolphins near Japan being hunted, but also mentioned whaling. I would recommend seeing it as I found very interesting to watch, but some parts are sad. Pat, I wrote about this and put it in perspective based on the numbers back in 2010. Whaling in fact kills far less Whales than all the other sources of whale deaths alone. The pirates at Sea Shepherd woud be far better directing their anger at the Korean Tuna fleets and other massive fishing operations if it is all about “saving” whales. In 2003, researchers estimated that more than 300,000 cetaceans are killed in fishing gear each year in the worlds oceans. That is using Greenpeace and WWF figures, not mine. Compare that with the 31,084 whales killed in total from Whaling since the moratorium began in 1986 and you can instantly see the focus is all wrong if saving whales is the goal. Yeah was fun…nice set up on the new blog…good output so far for the new year. Being vegetarian, of course I wouldn’t taste it. Wonder if the “thing” around whales, has something to do with: that they might have once lived on land, that they’re mammels, their methods of communication and song and their difference to other sea critters and supposed peacefulness has captured humans imaginations, as “desirable”? I have never really known!! But being a vege, if my survival came down to killing an animal, I’d feel “less worse” for killing a smaller creature, I THINK … I’m sure that fish would feel even more acceptable… My philosophy is to do as little harm as possible, so maybe that’s why a smaller creature, would seem more acceptable? Not rational though, as any creature that dies is sad. So maybe it’s their majesty and magnificence, size-wise that is part of the “thing” around whales. Gotta say that I’m kind of indifferent to them myself, and their slaughter is as heinous to me, as any other creature.